Chinese herbs pain relief herbs are very safe and effective at relieving all types of acute or chronic pain. The Chinese Herbal Materia Medica includes a vast amount of herbal pain relief substances that relieve both the sensation of pain as well as treating the underlying root cause of the pain or discomfort. Chinese herbs for pain relief providing quick and lasting herbal pain relief. Pain sensations may be due to several different causes and therefore having the correct differential diagnosis will tell us which herbs to select to get the strongest herbal pain relief formula for your particular condition. Most people tend to have a combination of 2 or maybe even 3 of the above pathogenic factors with one being the primary factor causing the pain. The formula is a QUICK FIX to STOP PAIN. I have used this formula for all types of pain, including intense back pain and leg pain with very quick results, very often within 10 minutes. This formula is strictly designed to help diminish pain due to its high dose (25% of the formula) of a 7:1 extract of Corydalis (Yan Hu Suo), which is a relative of the Papaver somniferum opium poppy, and is the principal pain relieving herb in the Chinese Materia Medica. Other herbs included strongly break up blood clots and promote blood circulation which also help stop pain and help break through the obstructions which are causing pain. Do not take this formula in combination with blood thinners such as Coumadin (Warfarin) or aspirin. This formula is Contraindicated with surgery or bleeding disorders such hemophilia and Vitamin K deficiency. Please consult your doctor before taking this product. Most types of joint pain and osteoarthritis are due to Dampness and Cold invading the joints. This is why most joint pain conditions worsen with cold or damp and rainy weather. These conditions need warming and dispersing herbs in order to provide herbal pain relief. It is also very important to stay warm and protected from the wind to prevent the occurrence of joint pain and neck or back stiffness. Make sure to keep your neck covered up when it is cold, windy and raining to prevent a serious neck pain condition. Dietary factors are very important for reducing joint pain due to Dampness. Generally avoid cold or frozen foods such as ice cream and avoid dairy. Eat more acrid foods such as onions, ginger, and Indian curry spices or Chai tea spices. Another very effective remedy for joint pain is Krill Oil. I use a high quality patented form of Krill Oil and often get very good results for joint pain relief. Krill oil has been tested through numerous clinical trials and confirmed as a very effective treatment for joint pain. 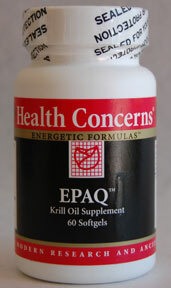 Krill oil contains roughly 30 to 40 times the amount of Omega-3 oils as that of regular fish oils and therefore rapidly reduces inflammation and excess prostaglandin production, effectively reducing joint pain due to osteoarthritis, rheumathoid arthrits, synovitis, bursitis, and other arthralgias with no known cause. Krill oil has also been shown to reduce symptoms of PMS, menopause and menstrual cramps and the best thing is that it has no known side effects what so ever (besides the cost). It may be more expensive than other Omega-3 fish oils but if you want results for your chronic inflammatory joint pain, take a large dose of Krill oil (6 tabs, 2-3 times per day) and in a week you should have much less pain. Talk to your doctor today about the benefits of Krill oil as an anti-inflammatory and pain relief medication. This standardized herbal extract of Curcuma longa nutritionally supports the body’s innate ability to regulate inflammation at the cellular level where it originates. It contains 97% curcuminoids, which inhibits both platelet aggregation and neutrophil responses to various stimuli. Curcuma longa provides safe, nutritional support for the regulation of the inflammatory response at the cellular level. (standardized to contain 97% curcuminoids) 250 mg.
1-2 vegetarian capsules three times per day, between meals. 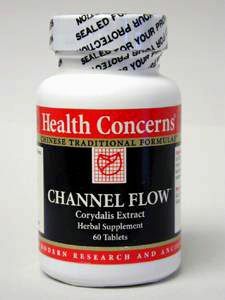 Having used this Curcumin product in my private practice I can tell you that this stuff works. 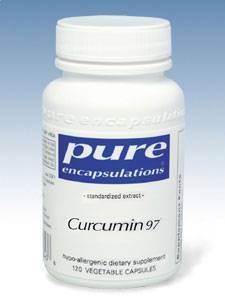 Any kind of joint pain, inflammation, tendonitis pain will get results with this Pure Encapsulations brand of Curcumin. I use Pure Encapsulations because they use standardized methods to guarantee potency and effectiveness and they are one of the only companies that do not put any binders or fillers in their products like magnesium stearate which can actually block the absorption of the nutrients in the intestines. In Chinese herbal medicine, Turmeric is considered a Blood invigorating herb which is specifically for shoulder joint pain. It's Chinese name is "Jiang Huang" which translates to "Shoulder Yellow" meaning the yellow herb which is good for the shoulder. Turmeric and Curcumin is also good for detoxifying the Liver and kills cancer cells on contact. In Ayurvedic medicine, Turmeric is considered a very holy herb which helps promote digestion, detoxification, and cleanses the blood. Because of its anti-inflammatory nature it can also be used to help with colds and fever by gargling a combination of turmeric powder and warm water. For an even stronger effect, try opening up a capsule of extra potent Curcumin extract, and adding that to warm water to gargle in the back of your throat. This is very good good for laryngitis, strep throat, and any other sore throat due to a bacteria or virus.